Hi friends! This week you get to take a peek inside Katie’s kitchen! Alright, alright, I know all of these items aren’t kitchen related but I wanted to let you guys in on the little things that I’m loving recently and how I keep myself healthy and sane in this sometimes not so organized world. We all know health comes from more than just what we’re putting in out mouths. As always if you guys have any questions, concerns or suggestions please feel free to comment below, find us on Facebook or reach out to us on Instagram. This week I share my love for some familiar favorites, the best damn card I’ve ever received as well ways I like to de-stress and calm down. A Mantra Coloring Book: I’ve been a fan of coloring books for a loooooong time. During finals week my freshmen year of college, my roommates and I bought a ton of coloring books (Disney Princess of course..), crayons and cookie dough (opps..) as a way to de-stress through the hell that is finals week. Needless to say I’ve carried this habit with me into adulthood, sans cookie dough and with better coloring books. Don’t get me wrong, I love me some Disney Princesses but this Mantra coloring book is SO cool. Each page has a different motivational message and really cool designs. This book is perfect after a long day whether you need some motivation or meditation! a Near Modern Disaster: Say hello to my new favorite card company! The other half and founder of the blog, Candice, was SO sweet and sent me this amazing card! That’s right, I am goddamn magical unicorn. Seriously, what a cool freaking card! Obviously I had to check out the site listed on the back and I was not disappointed. From love cards to thank yous to baby cards , these cards are sure to get a laugh. My all time favorite candle: Seriously, this holiday candle is hands down the best thing I’ve ever smelled. Don’t get me wrong, Sugar and Spice from Yankee Candle is pretty damn good but nothing can beat this candle. I know you’re thinking “What? Fruit Punch?” but I promise you it is soooo amazing. It’s a sweet but warming smell that just totally helps me relax. Where did I find this beauty do you ask? One of my favorite little stores, Francesca’s. They have some of the cutest clothes and greatest knick knacks for pretty cheap. Sadly, this candle isn’t online anymore (although they might have it in store!). However, the store always smells amazing so I know any candle from there is sure to be amazing. Be sure to check them out here! Graze: This shouldn’t come as a surprise as I’ve already expressed my love for this tasty snack box. Not only do you get a great selection of snacks but you get them for a great price! I personally love all of their granolas as well as any of their nut mixes. Snack don’t have to be boring! Graze helps amp up the flavor without amping up the crap that goes into it! 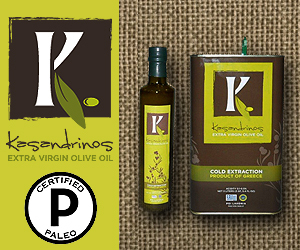 Kasandrino’s Olive Oil: Again, is this really a surprise? We’ve been raving about this stuff and have included it in multiple recipes. This olive oil is unparalleled and Tony and Effi truly put their heart into their work. Do yourself a favor and order a bottle and while you’re at it, try out some of their other amazing products. They are sure to not disappoint! Until next time folks, that’s a wrap! Have you tried any of these products? Want to try them? Let us know if the comments below! NOTE: Whole Health Hacks is an affiliate of the Amazon Associates Program and may receive a small commission for any products purchased through the links provided, which help us continue fueling the blog. Thanks for your continued support!